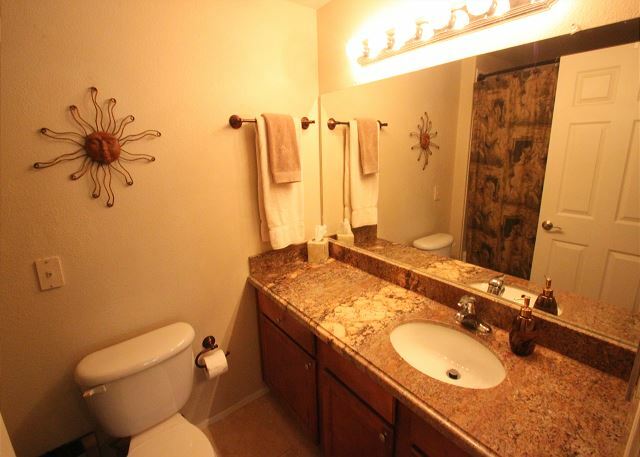 GREAT LOCATION in North Scottsdale w/ tons of amenities! 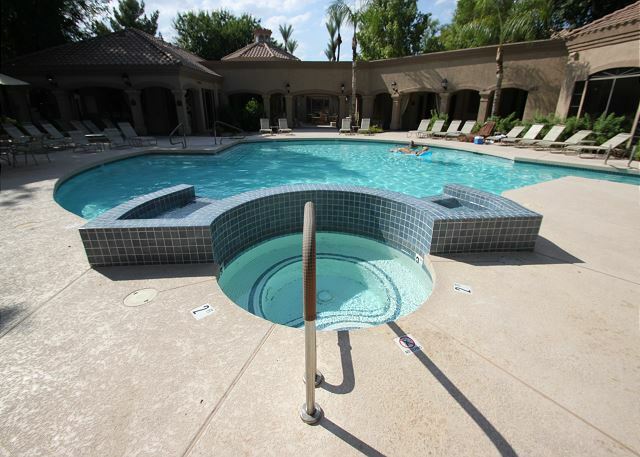 Villa Signature II is a split master 2 bedroom, 2 bath condo in the heart of North Scottsdale with all the amenities you will need! The condo is located on the 2nd level of a 2 story building. 1 covered parking spot and plenty of guest parking available. The full kitchen overlooks the Great room and has a breakfast bar, along with a dining area. 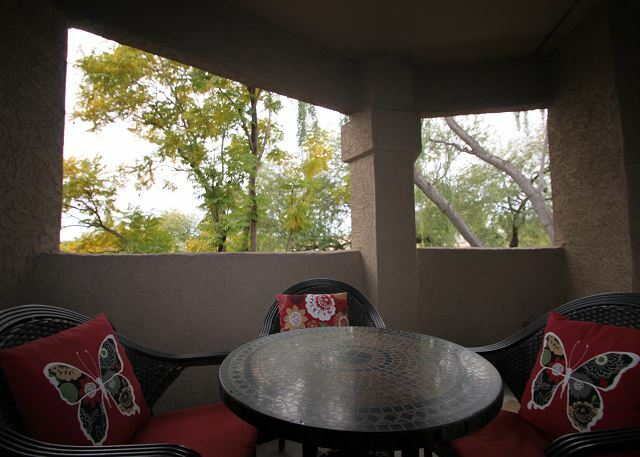 Enjoy a drink or your morning coffee on the balcony as well. The split bedrooms offer a King bed and a Queen bed, flat screen televisions in BOTH bedrooms, walk in closets and full baths with a tub/shower combo. Villa Sunrise offers in unit washer and dryer for your convenience as well. Local telephone and free WIFI access. 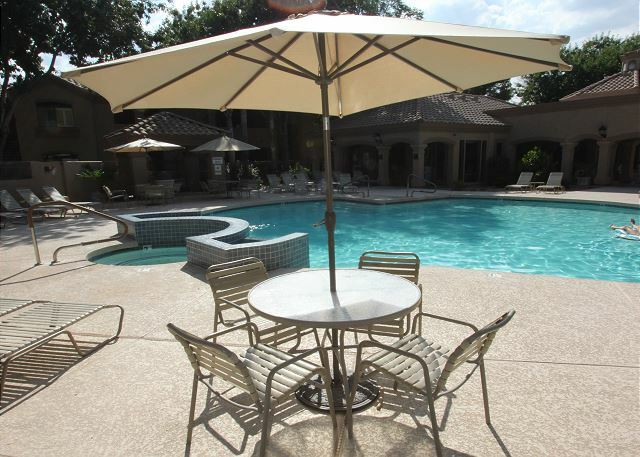 The community center with all of the amenities is just a few minute walk from the front door. There you will have access to a heated pool & spa, fitness room, locker rooms, steam room, sauna, library, business center, common area living room with television and full kitchen, BBQ area and fire-pit! What more could you ask for? 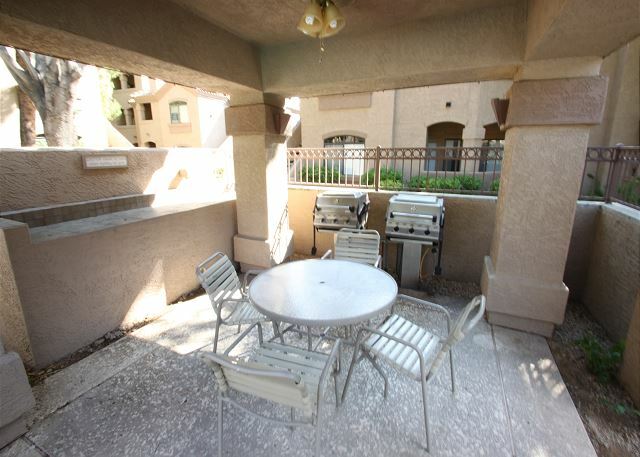 The condo is a close walk to 2 grocery stores (AJ's & Safeway), Starbucks, many restaurants and more... Easy access to Loop 101 Highway, West-World, Kierland Commons, Scottsdale Quarter, TPC Scottsdale & McDowell Mountain Golf; as well as great hiking trails!